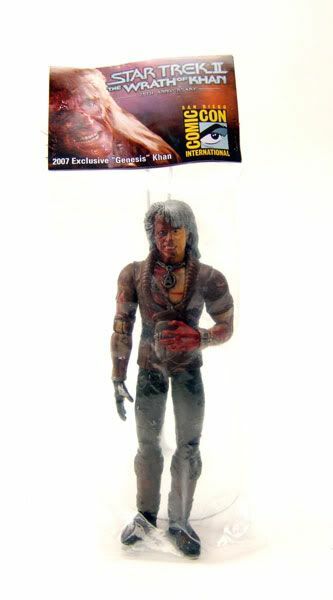 "Genesis" Khan was released as a bagged figure as part of the 2007 San Diego Comic Con exclusive set of Star Trek II The Wrath Of Khan figures. 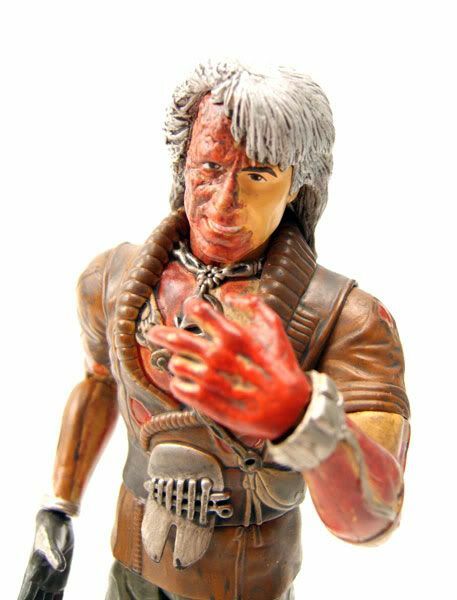 The Rundown: This one's gonna be kinda short and sweet since I'll save the more in depth rundown for the regular release Khan figure. The only things that make this one different are a new arm and head sculpt, and a new bloody paint job. 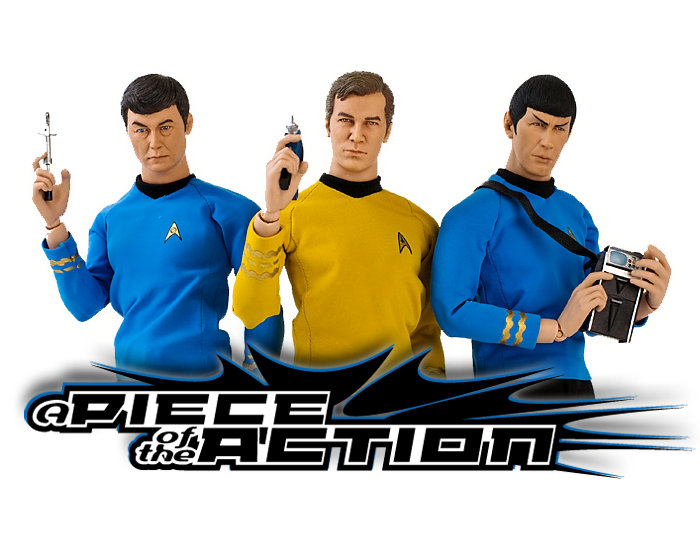 This figure was only available if you bought all the figures from the 2007 San Diego Con exclusive TWOK set. 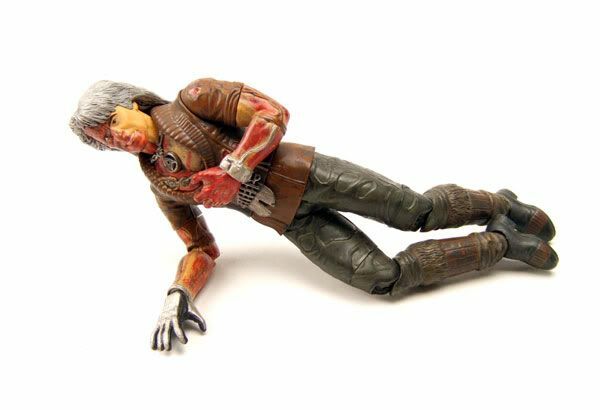 Buy them all, and you got "Genesis" Khan as a freebie. As a little side note, I just want to say that this is the kind of exclusive I love. It's not a character that's only available at a show, it's a different version of a character that you can simply ignore if you wish. 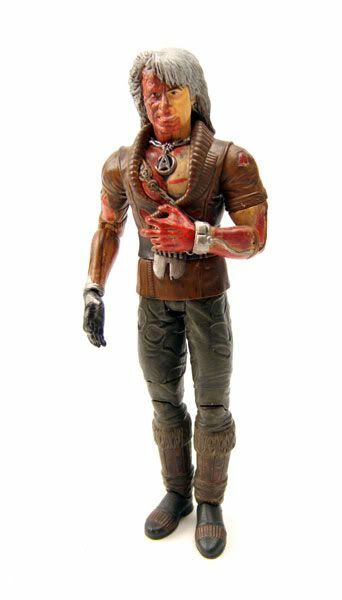 You can still have the regular Khan from stores and you can either take or leave this one without missing much in your collection. It's a way more involved variation than most in that the sculpted-variation-parts really accomodate that primary "movie pose" in a believable way! This fig gets a lot of mileage out of the standard Art Asylum Body!KHAAAANNNNN!!! !